Even those who didn't darken the door of the church from one Christmas to the next could tell there would be more mourners than seats. A bottleneck of black and gray was already forming at the entrance as Aaron Falk drove up, trailing a cloud of dust and cracked leaves. Falk parked his sedan next to a pickup truck that had also seen better days and killed the engine. The air conditioner rattled into silence, and the interior began to warm immediately. He allowed himself a moment to scan the crowd, although he didn't really have time. He'd dragged his heels the whole way from Melbourne, blowing out the five-hour drive to more than six. Satisfied no one looked familiar, he stepped out of the car. Welcome to the Reading Group Guide for The Dry. Please note: In order to provide reading groups with the most informed and thought-provoking questions possible, it is necessary to reveal important aspects of the plot of this novel - as well as the ending. If you have not finished reading The Dry, we respectfully suggest that you may want to wait before reviewing this guide. 1. The drought overshadows everything that happens in The Dry. In some ways it could almost be said to be a character in its own right. What is it about the drought and its effects on the town that make people less likely to question what happened to the Hadlers? Here are some of the comments posted about The Dry. With more than one mystery being unraveled simultaneously, The Dry keeps up a brisk pace, is full of surprises, and has the right balance of tension without overindulging in the brutal, tense-suspense formula of many potboilers today. It carries the reader to the arid, drought suffering region of Australia in a way that reminded me of Douglas Kennedy's thrilling debut novel set in the lesser known, slightly terrifying, remote and usually uninhabited Australian Outback, The Dead Heart. Jane Harper is already at work on her next crime and mystery novel which will also feature Aaron Falk. We are told it takes place in a different setting and can be read as a stand-alone rather than a direct sequel. (Reviewed by Claire McAlpine). Starred Review. Devastating debut…a suspenseful tale of sound and fury as riveting as it is horrific. Starred Review. A stunner…It's a small-town, big-secrets page-turner with a shocker of an ending…Recommend this one to fans of James Lee Burke and Robert Crais, who mix elements of 'bromance' into their hard-boiled tales. Starred Review. A nail-biting thriller…A chilling story set under a blistering sun, this fine debut will keep readers on edge and awake long past bedtime. Every now and then an Australian crime novel comes along to stop your breath and haunt your dreams…There is about The Dry, something mythic and valiant. This a story about heroism, the sins of the past, and the struggle to atone. A razor-sharp crime yarn dripping in the sights, sounds and smells of the Australian bush…The storytelling is accomplished, with a bald sparseness to the writing that draws you in and characterization that rings resoundingly true…as the action twists and turns, the pace build[s] to a fantastic finale that will leave you breathless. A tightly plotted page-turner that kept me reading well into the night…In this cracker of a book Harper maintains the suspense, with the momentum picking up as it draws to its nerve-wracking conclusion. The Dry is a page-turner written with a maturity of style rarely seen in a first-time novelist and it's here the writer excels. Harper's exploration of the pressures of a small town where people are not able to escape the past is thoughtful and mature. Her plot twists and layering are intricate and subtle and keep you guessing to the end. One of the most stunning debuts I've ever read…Every word is near perfect. 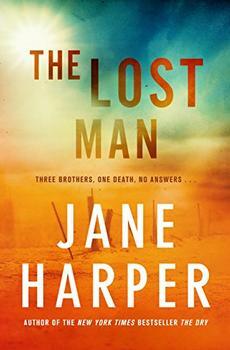 With The Dry, Jane Harper immediately takes her place among the elites in the mystery world...Terrific characters, unique and evocative setting, knockout plot construction. This book has it all. It's extremely rare and exciting to read a debut that enthralls from the very first page and then absolutely sticks the landing. Told with heart and guts and an authentic sense of place that simply cannot be faked, The Dry is the debut of the year. Every so often a debut novel arrives that is so tightly woven and compelling it seems the work of a novelist in her prime. That's what Jane Harper has given us. From the first paragraph onward, Jane Harper creates a menacing landscape out of which long-held secrets emerge. 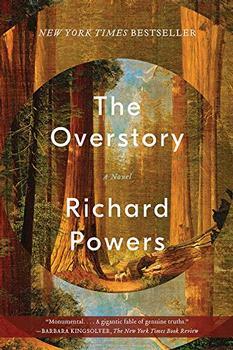 The Dry is a marvelous novel that once begun is hard to put down, once finished even harder to forget. You will feel the heat, taste the dust and blink into the glare. The Dry is a wonderful crime novel that shines a light into the darkest corner of a sunburnt country. The Big Dry was a nine-year drought experienced in Southeastern Australia from 2003 to 2012. The region suffered the most severe dry period in recorded history and assumptions made by early pioneering colonists  that there would always be wet periods in these lands  began to be questioned. The alternative, that there might be long, significant periods of hot, dry weather was taken more seriously, and the consequences studied for how the population, the ecosystem and the agricultural industry could sustainably survive under such conditions.